Warranty: Arlington fittings are carefully inspected and our manufacturing process is designed to prevent the possibility of a defective product leaving our plant. In the event any of our products are found to be defective, we will replace them with new product free of charge. The time limit for this warranty is one year following the date of sale or one year after the date of installation, whichever is the earlier date. This warranty does not apply when the product is used for any purpose other than the intended use as described in the Arlington literature. This warranty does not apply when the product is used for any installation which would violate the national electrical code or any code which takes precedence in a particular jurisdiction. Labor is not included. 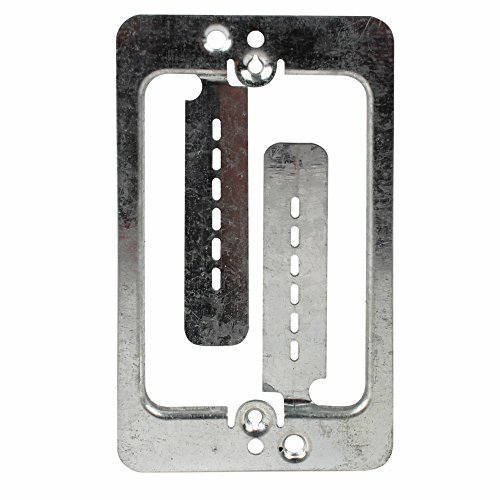 Use our mounting template to quickly and easily trace cut-outs for single gang and double gang low voltage brackets. Use the centering tick marks to center your opening at the desired height from the floor. For single gang installation, just place it on the wall, use the bubble vials to make sure you're level, trace the inside of the template frame and use your drywall saw to cut. For double gang installation, place the template on the wall, level, trace the inside of the frame, then repeat using the double gang tick marks to extend your original box. Also includes a 4 inch convenience ruler on the edge. 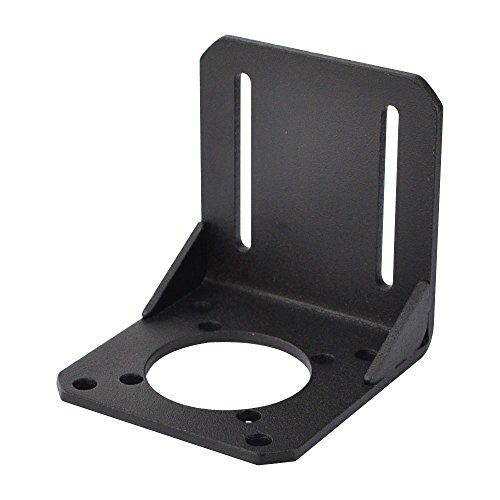 Brand: sandman.com | Manufacturer: sandman.com, Inc.
Arlington LV1-1CS Low Voltage Mounting Bracket, 1-Gang, Black, 1-Pack. 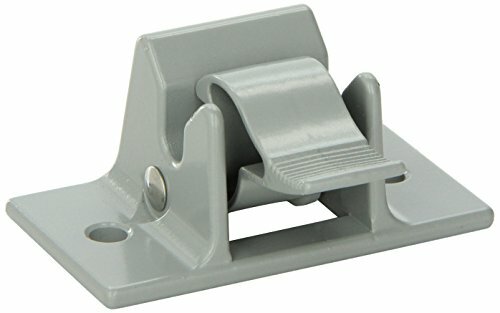 Mounting bracket has Oval holes that allow final shifting and straightening. Easy to install, for mounting low voltage wires(phone, internet, TV, video). Adjusts to fit various wall thickness, the bracket wings secure when mounting screws are tightened. 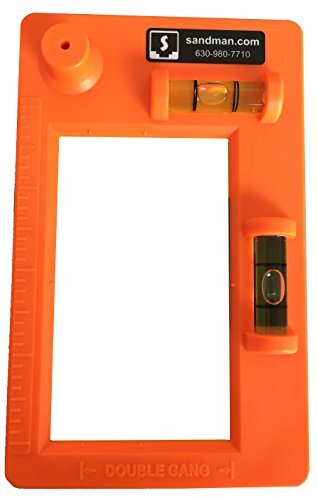 Bracket is its own template for cut-out, trace the bracket then cut the hole, includes 1 low voltage mounting brackets. Horizontal or vertical mounting, installs faster and costs less than metal brackets, UL/CSA Listed. Protects cable as it runs through the knockouts in metal studs. 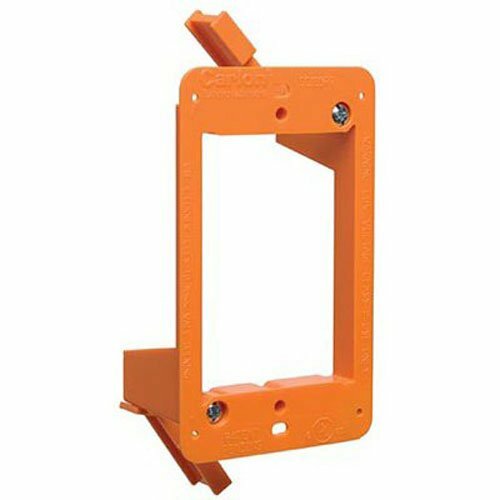 Fosmon Low Voltage Mounting Bracket x1 Compatibility: Use it with any low voltage wiring such as telephone wires, network cables, HDMI, coaxial and speaker cables. Great for use with banana, HDMI and coax wall plates. It is bolted to the base of the wall and the awning leg can clip in. The mounting holes are 65mm from center to center. Arlington FLBRF101BR-1 Retrofit Electrical Floor Box with Flip Lids, For Existing Floors, Brown, 1-Pack. 20.0 cubic inch Box for existing floors. Electrical box easily installs flush-to-floor wherever you need it. Includes floor box, (1) NM94 connector, duplex receptacle, back plate, gasketed cover and (5) #6-32 cover plate screws. Oversized rectangular cover hides miscut flooring. Low-cost way to put receptacles into existing floor - units are UL Listed and Made in USA. Warranty: T&B warrants that its products will be free from defects in material and workmanship for a period of two years (tools are warranted for ninety days) from the date of shipment. Upon prompt notification of a warranted defect, T&B will, at its option, repair or replace any products found to be defective. 2. In no event will T&B be liable for any consequential, indirect or special damages, nor (except as may otherwise specifically be agreed to in writing through an authorized representative) shall T&B be liable for transportation, labor, or other charges arising out of the removal or reinstallation of its products. Liability for breach of warranty is limited to the cost of repair or replacement of the warranted product. No more plastic cut-in boxes needed! 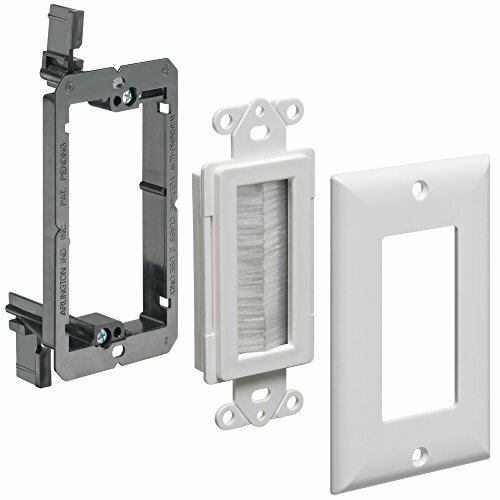 Use these handy brackets to install a low voltage outlet box in existing drywall. 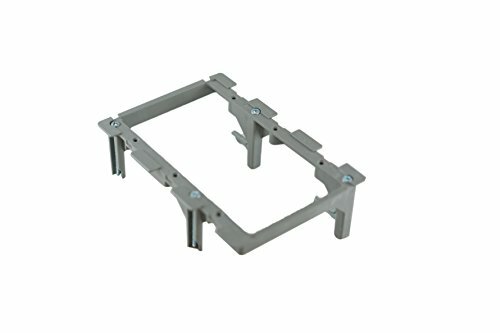 Crafted to fit the industry single-gang standard, these brackets can be used for volume controls, switches, or wall plates. It's perfect for retrofit and aftermarket installations! Simply cut the hole, insert the plate and use the provided screws to secure into place. Once finished, install desired cords, and cover with a faceplate of your choice. Please note: designed for low voltage class 2 applications ONLY - 120V devices should not be used with this bracket. The new designed NEMA 17 Stepper Motor Alloy Steel Mounting Bracket can match standard Nema 17 stepper motor, and also includ the mounting holes for Nema 17 Economy Planetary Geared Stepper Motor. 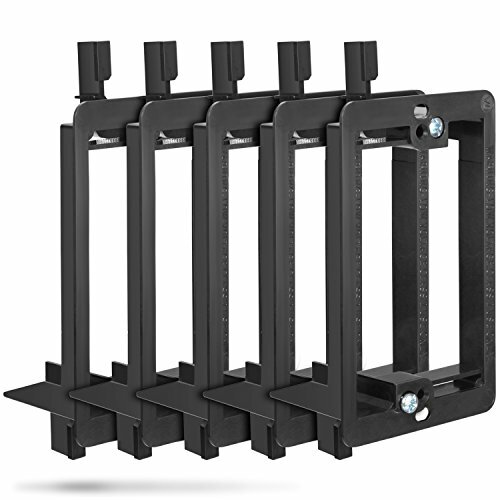 Designed for use with triple gang openings in existing applications. Use with products such as keystone wall plate outlets and volume controls. Features an open back and an integrated cable management system for easy cable connections. 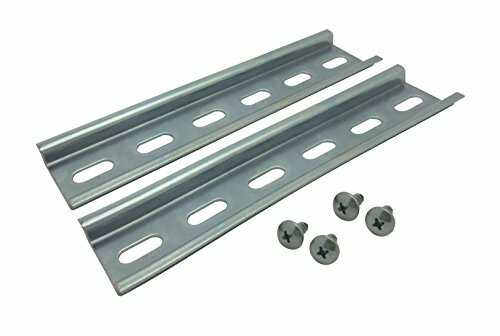 Arlington LV2-1CS Low Voltage Mounting Bracket, 2-Gang, 1-Pack. Designed to mount wall plates flush. Horizontal or vertical mounting; UL/CSA listed. 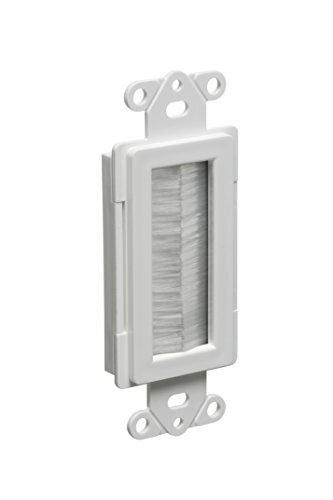 Adjusts to fit 1/4 Inch to 1 Inch thick wall board, paneling or drywall. 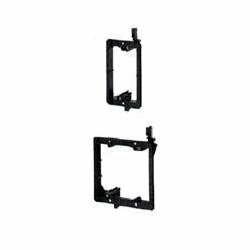 1-pack of Low Voltage Mounting Brackets. 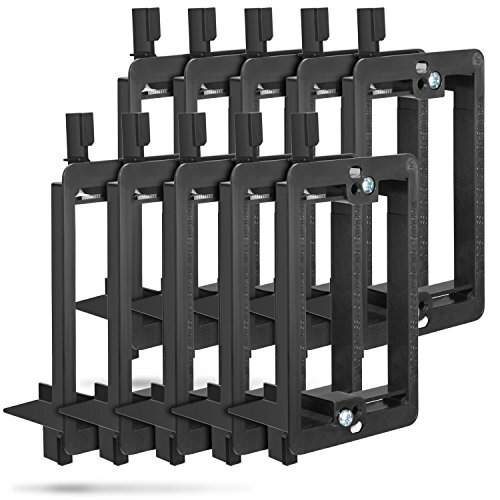 mounting brackets offer specially designed screw holes that deliver a better looking, easy to install job. 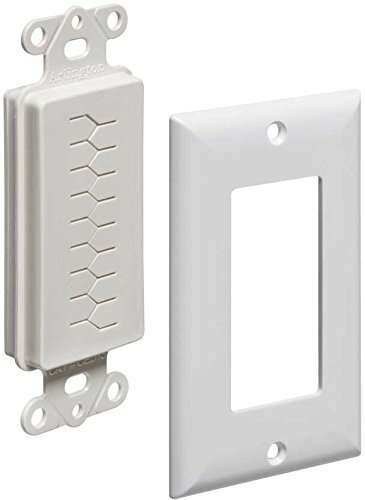 Arlington CED130WP-1 Cable Entry Device with Slotted Cover and Wall Plate, 1-Gang, White, 1-Pack. Used to organize and protect low voltage cable when passing through the wall. Accommodates a decorative style cover. Unit is reversible for a recessed look. Includes (2) #6 screws for a complete installation. Comes with 1-unit per pack, Made in USA. The non-metallic CED130 Cable Entry Device with Slotted Cover is the newest product in Arlington's SCOOP series of entrance plates and hoods. It provides an aesthetically pleasing installation, while organizing and protecting low voltage cable against abrasion. 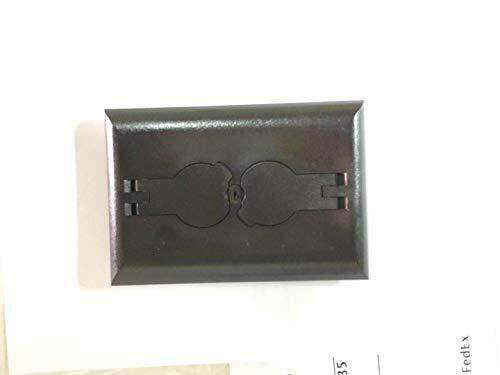 Plus, mounting holes allow you to attach a decorator-style wall plate to the low voltage side of an electrical box, while providing extra support to the installation. 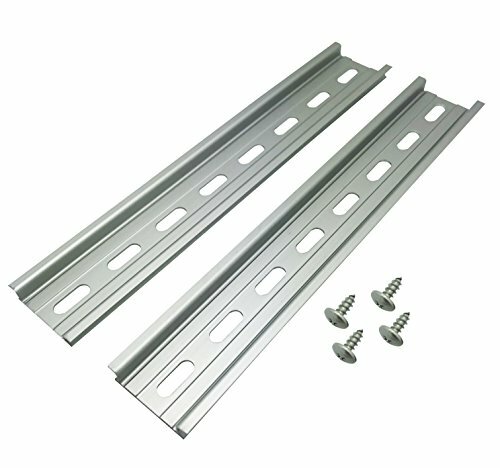 Each package includes (2) #6 screws for complete installation and the entry device may also be installed in reverse for a recessed look. Arlington LV2-1CS Double Gang Low Voltage Device. Arlington's non-metallic, LV2-1CS, Low Voltage Mounting Brackets are the time and money-saving solution for faster and easier mounting of Class 2 communications, computer and cable TV wiring. The bracket is its own template. Level the bracket on the wall. Then use the bracket a s a guide for the cut out by tracing a line around the inside. Arlington fittings are carefully inspected and our manufacturing process is designed to prevent the possibility of a defective product leaving our plant. In the event any of our products are found to be defective, we will replace them with new product free of charge. The time limit for this warranty is one year following the date of sale or one year after the date of installation, whichever is the earlier date. This warranty does not apply when the product is used for any purpose other than the intended use as described in the Arlington literature. This warranty does not apply when the product is used for any installation which would violate the national electrical code or any code which takes precedence in a particular jurisdiction. Labor is not included. European (EN) and international (IEC) standards. circuit breakers, contactors, auxiliary relays, terminal blocks, low voltage apparatuses, etc. 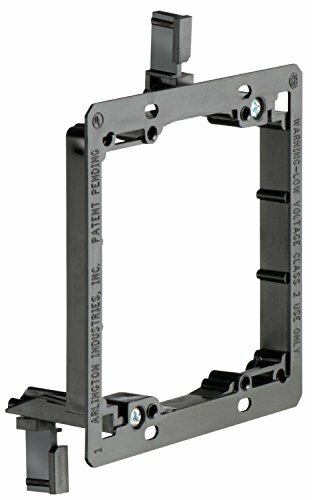 Arlington LV1 Low Volt Mounting Bracket 1G, Black, 10-Pack, Ships Priority Mail so you get it fast! contactors, auxiliary relays, terminal blocks, low voltage apparatuses, etc. Standard width of 34.925mm (1.375") length of 152.40mm (6") and thickness of 5mm (0.2"). 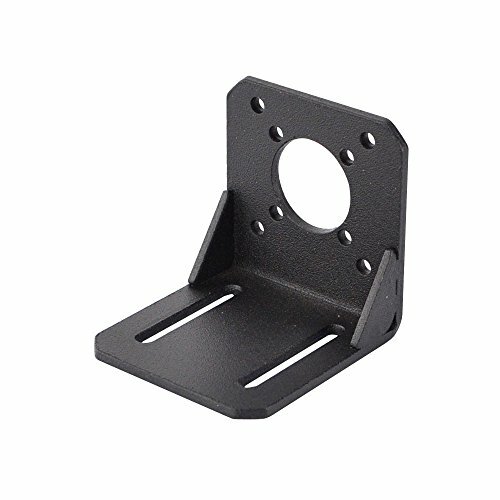 The new designed NEMA 23 Stepper Motor Alloy Steel Mounting Bracket can match standard Nema 23 stepper motor, and also includ the mounting holes for Nema 23 Economy Planetary Geared Stepper Motor. 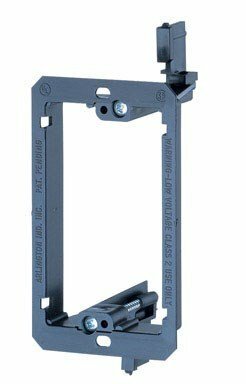 Arlington LVCED135WP-1 Cable Entry Device with Brush-Style Opening, Low-voltage Bracket and Wall Plate, 1-Pack. Used to organize and protect low voltage cable when passing through the wall. Accommodates a decorative style cover. Unit is reversible for a recessed look. Includes (2) #6 screws, low-voltage bracket and wall plate for a complete installation. Comes 1-per pack, Made in USA. The non-metallic CED135WP Cable Entry Device with Brush Style Opening is the newest product in Arlington's SCOOP series of entrance plates and hoods. It provides an aesthetically pleasing installation, while organizing and protecting low voltage cable against abrasion. Plus, mounting holes allow you to attach a decorator-style wall plate to the low voltage side of an electrical box, while providing extra support to the installation. Each package includes (2) #6 screws, low-voltage bracket and wall plate for complete installation. Entry device may also be installed in reverse for a recessed look.